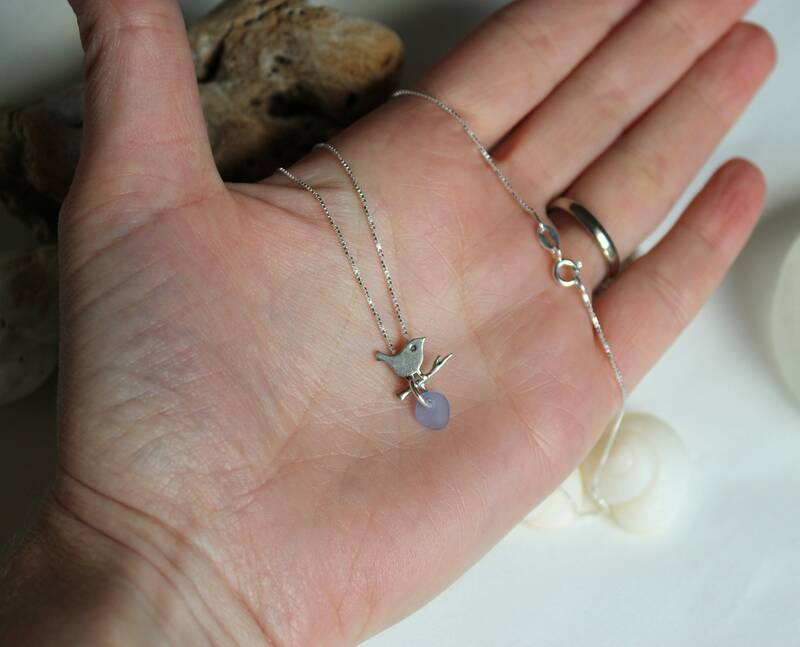 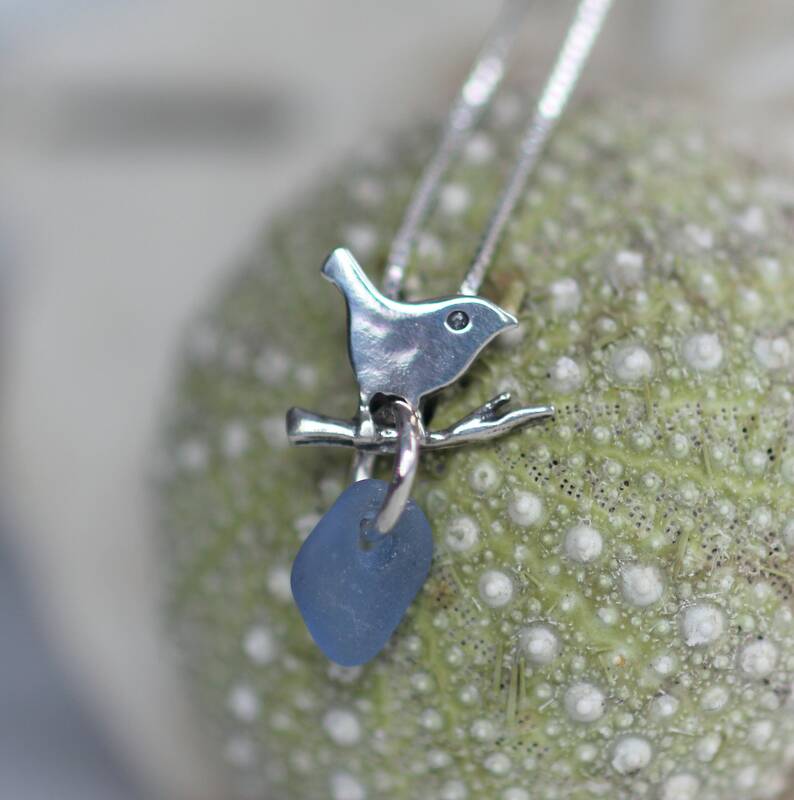 A delicate little silver bird carries a drop of cornflower blue sea glass, a nature inspired necklace that you will want to wear every day! 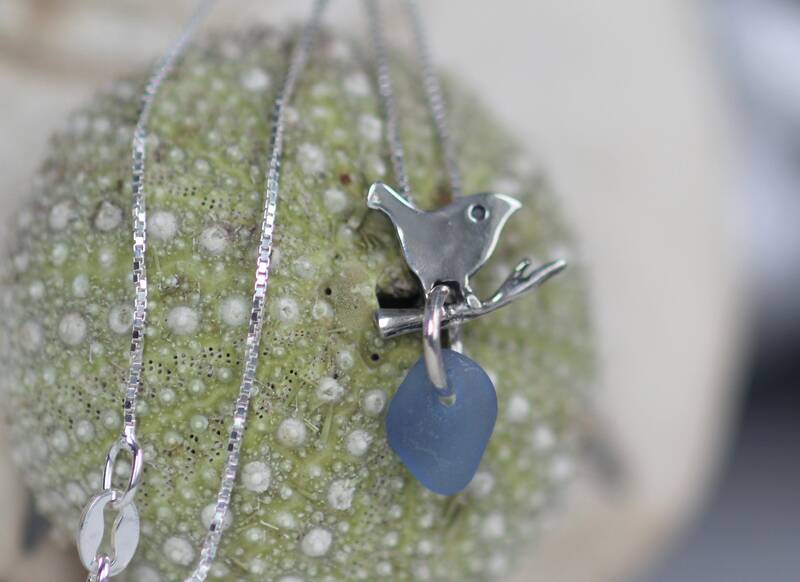 Our Little Bird necklace is crafted with the tiniest drop of genuine sea glass. 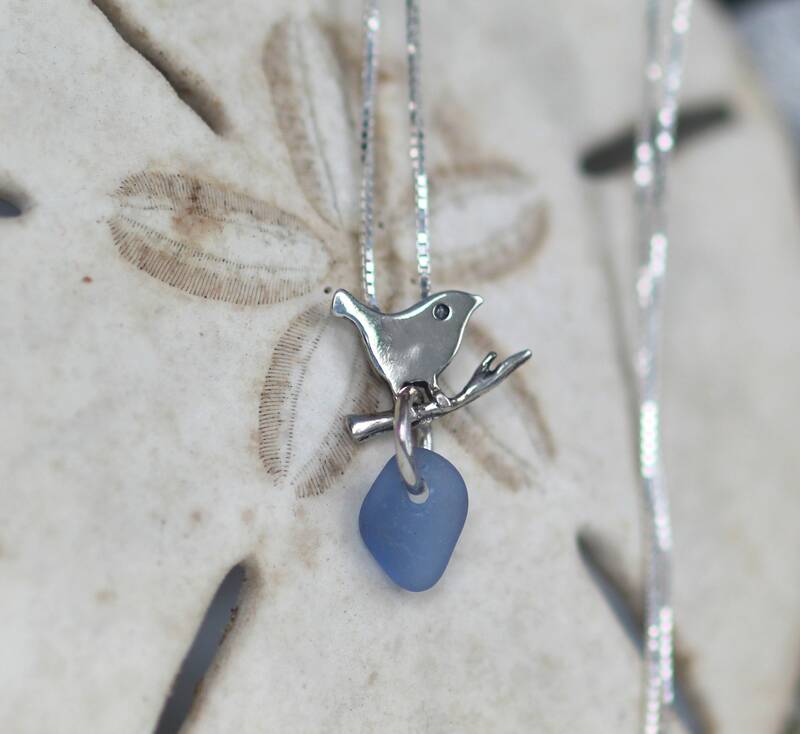 This dainty necklace makes a beautiful gift and will arrive in a jewelry box with the Sea Glass Story on the inside lid. 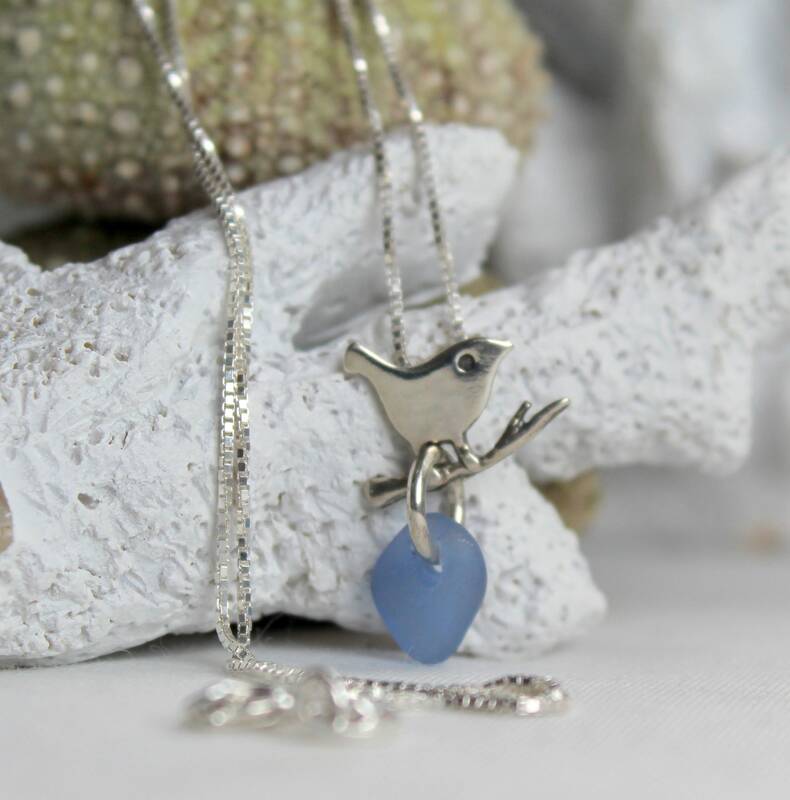 You will also receive a silver polishing cloth to keep the necklace looking new! 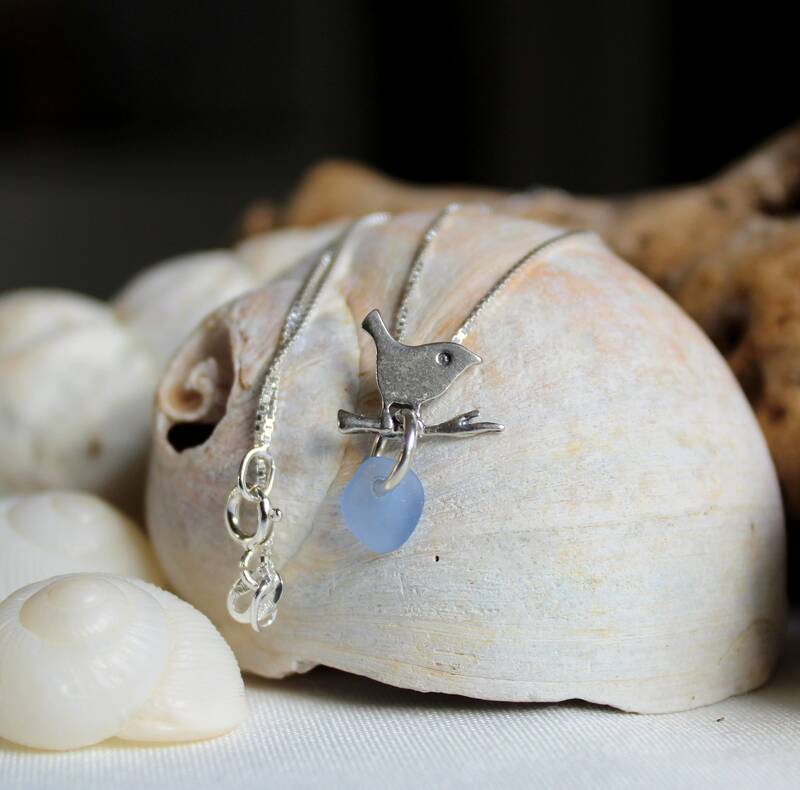 ~ The chain length is 18 inches. 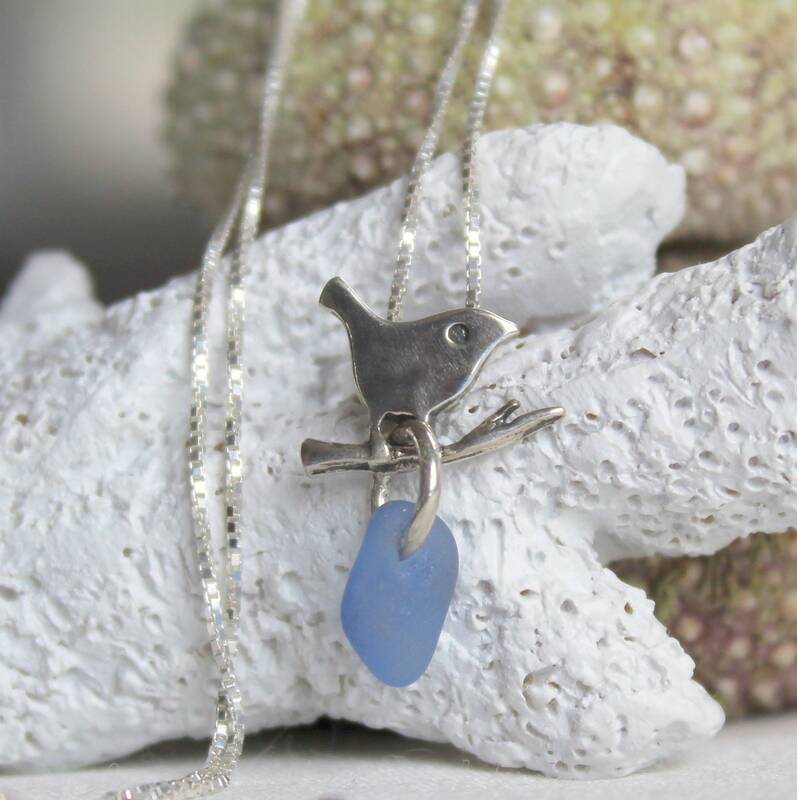 ~ We use only genuine sea glass, the colour in this necklace in cornflower blue. 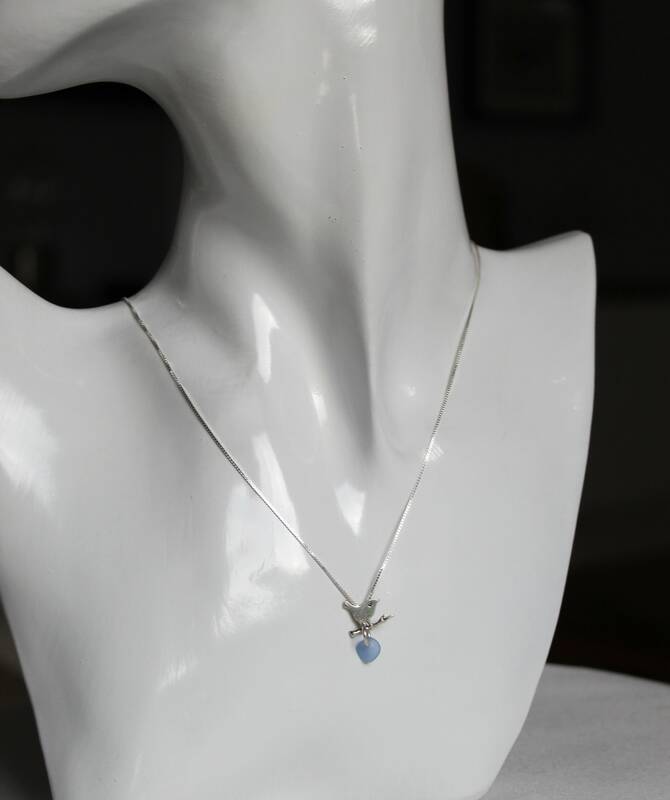 ~ Please note that this necklace is tiny, the pendant measures 5/8 of an inch (1.6 cm) in length- see 8th photo to help visualize the size.